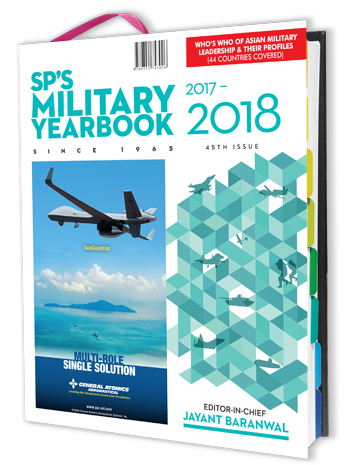 SP Guide Publications' first and rather flagship publication, the Military Yearbook was launched in 1965 and rechristened as SP's Military Yearbook in 1992, as a tribute to the Founder Editor Shri S.P. Baranwal who founded the company in 1964. Today the Yearbook is regarded and termed as Bible of information on the armed forces in the context of entire Asia and the defence industry world over.